I've never listened to James Struthers, or even heard of him. But the Winnipeg, Canada born artist certainly has a knack for self-promotion, virtually guaranteeing that everyone who grew up in the '80s will watch this video. 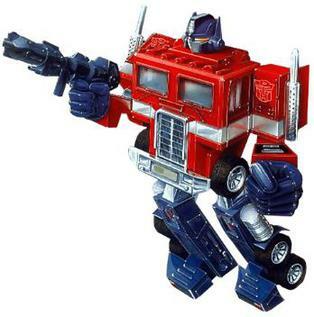 The second track on his first album, Nadia, is cleverly titled You, Me and Optimus Prime. And while the video starts off a little slow, it eventually ends up with James spending an entire day frolicking with the leader of the Autobots. A fantasy that I'm sure that was shared by many kids from my generation.